BEIRUT (Reuters) - The Syrian government condemned on Friday U.S. President Donald Trump's statement that it was time to recognize Israeli sovereignty over the Golan Heights and said Syria was determined to recover the area "through all available means". 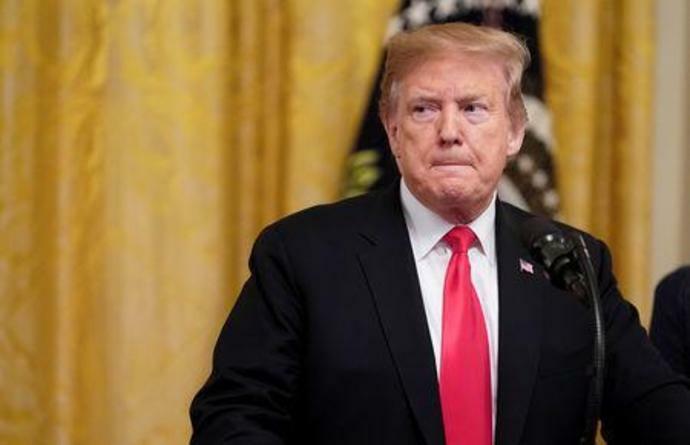 In a statement published by the Syrian state news agency, a foreign ministry source said Trump's statement showed "the blind bias of the United States" towards Israel. It did not change "the reality that the Golan was and will remain Syrian, Arab," the source said. "The Syrian nation is more determined to liberate this precious piece of Syrian national land through all available means," the source said, adding that Trump's statement was "irresponsible" and showed "contempt" for international law.